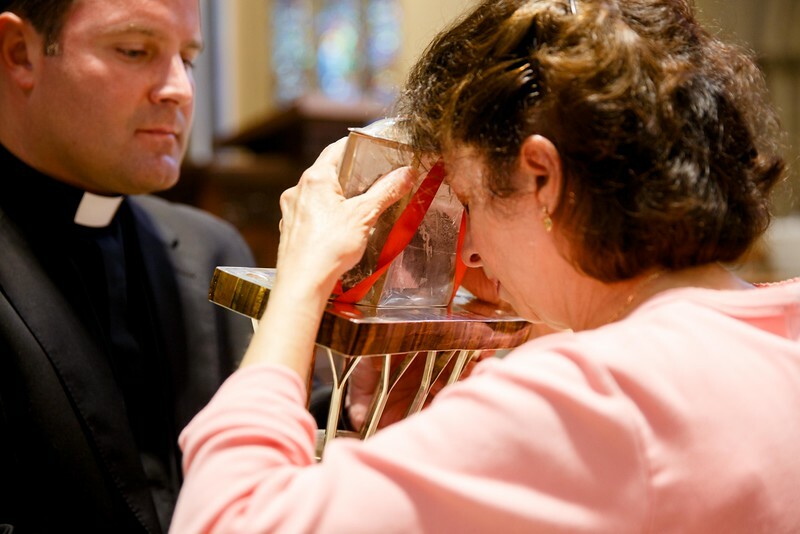 A woman venerates the relic of the heart of St. Padre Pio at Immaculate Conception Church in Lowell, Mass. The church was the first stop in a Sept. 21 – 23 tour of the relic to the Boston area. This trip marks the first time a major relic of St. Padre Pio has travelled outside Italy.